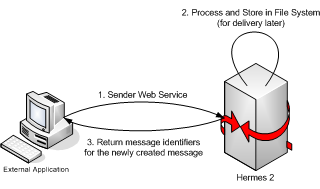 Hermes has implemented web services to communicate with external applications. 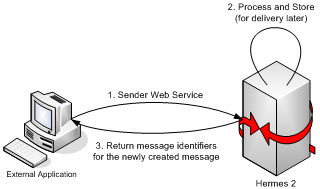 The main advantages of using web services are to reduce coupling between external applications and Hermes, and to allow external applications to integrate Hermes seamlessly using any programming languages that support sending SOAP Messages with Attachments or calling RESTful APIs. 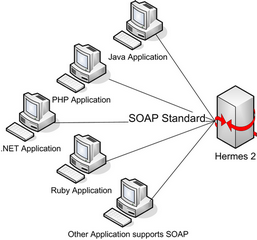 This article helps developers write a client talking to Hermes using web services based on SOAP or RESTful APIs. 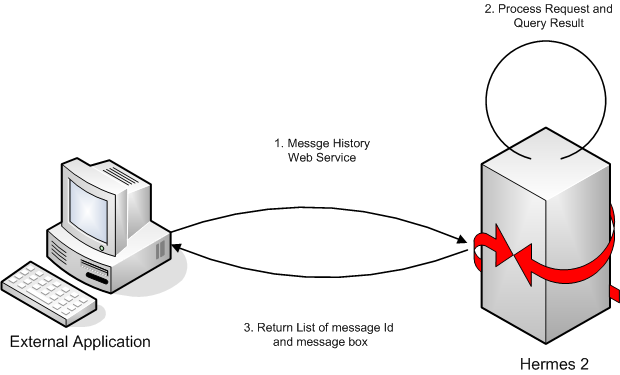 Here is a brief summary about the communication architecture between Hermes and external applications. 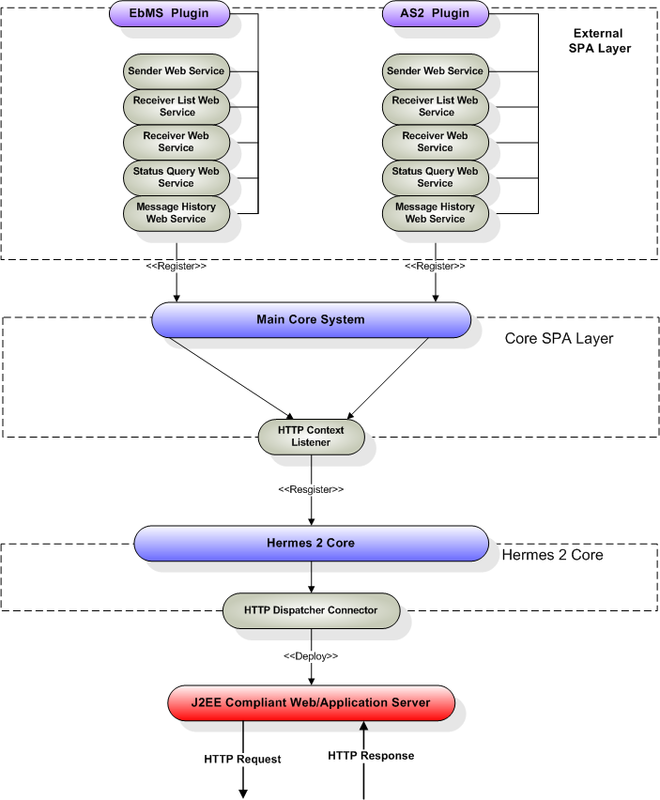 The core of Hermes can attach to any J2EE compliant web server as a servlet. 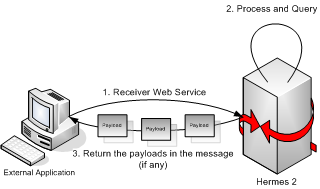 The core itself provides neither any web services or HTTP listeners, nor any functionality related to messaging. All features in Hermes are derived from the core using SPA (Simple Plugin Architecture). To make an REST API request, the simplest way is to use curl as a command line REST client, or Postman as a GUI based client is a useful tool too. For the details specification of this REST API, please refer to HERMES RESTful OpenAPI Specification.